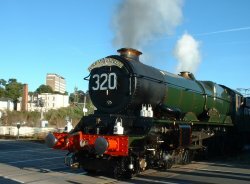 Have your say and spread a little part of Exeter over the World! 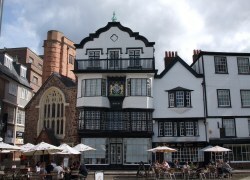 Have you visited the beautiful city of Exeter before? - Did you enjoy your time here? - Have you got something to say about Devon's capital City? - Have you got a story to tell? - Some views to share? - A comment to make? - You may even want to compliment ExeterViews?? What ever you have, tell us and share it here! I don't know if you are familiar with this poem, it means a great deal to me as this is how I feel about Exeter as well as other areas. Ankles splashed by the surf. A love associated with solitude. to be at one with myself. because I am offered so much. how I long to return. Hello!! I`ve been looking for Exeter pages for over half a year and at last I have found a page which suits me. It is one of the most beautiful places I`ve ever seen!! !....Thanks for a lovely site! WHAT A VERY USEFUL SITE - KEEP UP THE GOOD WORK! I was there two years ago and I enjoyed the time over there very much!! I spent a wonderful month in Exeter! I hope to come back again this summer!! I studied at St. Loye's College, Exeter back in the 1980's and ever since Exeter has been a very special place to me. Finding this site has bought back some wonderful memories of my years in the city. I especially loved the photos. Hi I'm originally from Exwick Exeter. I moved to Sydney 7 years ago. I haven't been home for 4 so looking at your site and the live web cams keep me in touch with home everyday, thanks for your great site! Excellent, this has really helped me with my geography coursework. Especially the pictures. Cheers. There should be more pages like this on the web!!!!!!! My family name 'Marker' originates from Exeter. They moved to Wales in 1803 to work in the tin mines. I researched my family tree as far back as 1700. Exeter is a beautiful city full of historical charm. Its inhabitants welcomed me warmly and people from all walks of life helped me with my research. I went to school in Exeter during my father's sabbatical leaves in my youth. I loved every minute of it. Now, many years later, I'm scheduled to visit in March 2007 to show my husband all the places of my fondest memories. Hope Exeter hasn't changed too much! It's been 10 years since I last visited Exeter... and it's impossible to ignore what that experience meant, means to me. I studied there at The Isca School of English, with that special family, Mr & Ms Tomlinson, during three summer seasons, and all the organisation was great; High Street, The Cathedral, the Quay... Sure, someday I must return!! Hello, I have been in Exeter several times. First time 13 years ago. I love the city I studied in Isca School. Other time I worked as aupair, and I visited last time in 2002 with my husband. I have very good memories. I had very good friends when I was in my early twenties and I have a wonderful family there I still keep in touch. I love the city, the cathedral, the streets, the quay, the pubs, the people, shops. The months I spend in Exeter for learning English and the people I met there have been very important in my life now I would like to go with my little son. 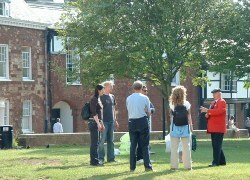 Submit an Exeter review or comment at the ExeterViews.co.uk Add review / comment Page!